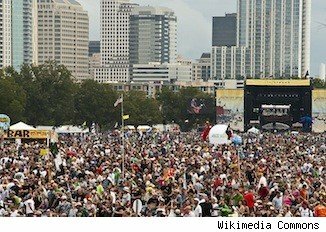 You're in Austin, Texas, rockin' out at the South by Southwest music festival. You're soaking up the sights and sounds, the people and the parties, of the "Live Music Capital of the World." You're falling in love with the city. And in a year's time, you'll be moving there. Well, that's what local Realtors are banking on, anyway. It's really not that far-fetched; they see it happen all the time. Austin, after all, is the fastest-growing city in America, according to Forbes, adding an average of 150 people a day. (Good for business, bad for congestion, we'd say.) That's thanks in no small part to its long roster of annual music festivals drawing in thousands of out-of-towners for a glimpse of the town's lifestyle. That makes events like SXSW -- one of the largest music festivals in the world -- the perfect stage not only for the cream of the crop of the music world, but also for Austin's red-hot housing market. Theresa Bastian, co-owner of KeepAustinWeirdHomes.com -- a local home search site that tips its hat to the town's famous slogan -- estimates that between 20 percent and 25 percent of her buyer clients moved to Austin by choice (not because of job relocation) after attending SXSW or other local festivals. It was that first-time exposure to the city that prompted them to make the move, she said. It's a storyline unsurprising to her: Even though she had been to Austin before, it was her time at a local weekend music festival that convinced her to make the leap. "I moved from Tacoma, Wash., 4½ years ago," Bastian said. "I visited Austin for work fairly regularly and extended one work trip to include "Austin City Limits," and that sealed it for me. It took some time to sell my real estate brokerage [in Tacoma] and get here, but that weekend definitely was the deciding factor." So what is it about Austin that turns visitors into residents? Well, it's known for being dog-friendly, with plenty of dog parks. It's a walkable city and the weather is unbeatable. (You'll never be digging out of snow," Bastian said.) But it also makes plenty of economic sense for homebuyers: Austin ranks among the top 10 best cities to own a home. According to the Austin Board of Realtors, the median home price in the city in January was $197,900, which is a 10 percent increase from a year earlier. (Read: A home is bound to increase in value at a healthy clip over time.) That's also quite affordable for the city's median salary of $63,200. And with a low unemployment rate of 4.9 percent (and a job-growth rate of 3 percent in 2012), according to Forbes, homeowners there are likely to be able to keep up with their mortgage payments. Many people from larger, far more expensive cities come to SXSW, and it's a perfect time to reel them in on the issue of affordability. "We find people who would spend $400,000 [on a home] in their own town, and they get nothing," Bastian said. "But they can get quite a nice home for the money here." Nanette Labastida of Austin real estate firm The Gill Agency uses the week of SXSW to make contacts with prospective homebuyers and get the word out about her business, knowing that many music festival revelers are going to have their eye on a move to Austin. "I have heard those stories," she said. "I find that most people come here during SXSW, and if they have it in their mind to move here, they spend this week falling in love and meeting locals. Then they plan a trip to come look at properties. 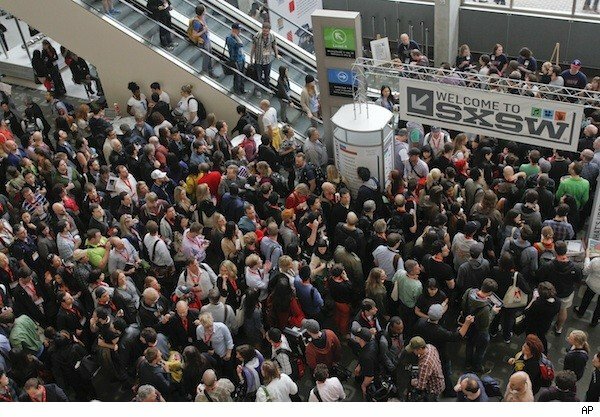 So my goal during SXSW is just to meet as many people as I can and make connections. ... It's definitely a good time for Realtors to be out and about, talking to people."